Garnish with whatever you have available…toffee bits, chocolate chips, etc. Wind and Willow creates so many delicious Dessert/Dip Mixes and one of our favorite ways to use them at Adrian’s Boutique is to top Brownies. It is so simple! Bake a brownie mix (9×13 size) as directed and allow to cool completely. Cream 1 8-oz package of softened cream cheese. Add Wind & Willow packet. Cream thoroughly. Gently fold in 1 8 oz tub of thawed Cool Whip. Spread over cooled brownies. Chill and store leftovers (if there are any!) in the refrigerator. 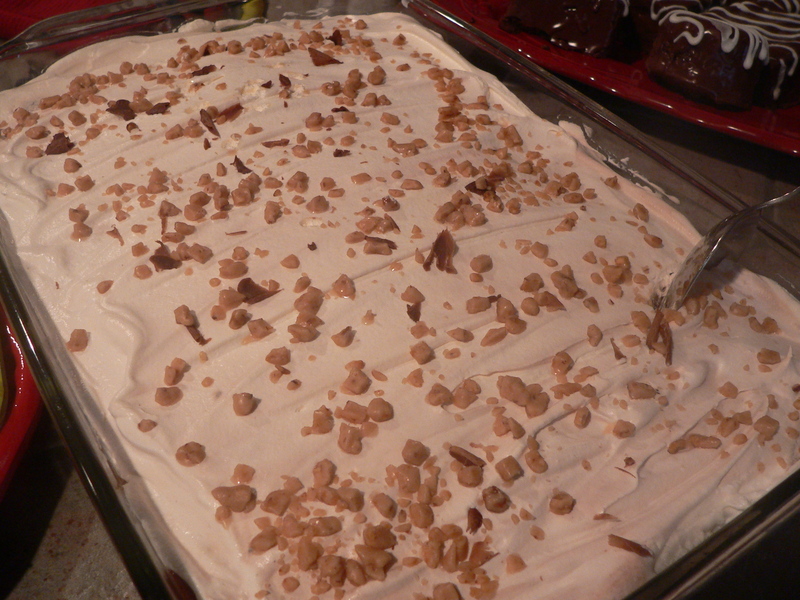 To serve, cut a piece and garnish with the little topping packet from Wind & Willow (included), additional whipped topping, and/or use chopped nuts, hot fudge, chocolate drizzle, caramel, etc. Use your imagination! We have served MANY versions over the years at Adrians! Some of our favorites are White Chocolate Amaretto, White Chocolate Cherry, Tiramisu, Chocolate Chip, Strawberries & Cream, Triple Berry, even Pumpkin in the fall! Enjoy!